At just over 59″ long, the 50 Series dog kennel/dog crate is perfect for single or multiple dog owners and fit in 5-1/2′ pickup beds and suburbans. 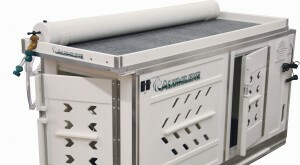 The standard 50 Series dog kennel features a center moveable partition to give dogs their own space. 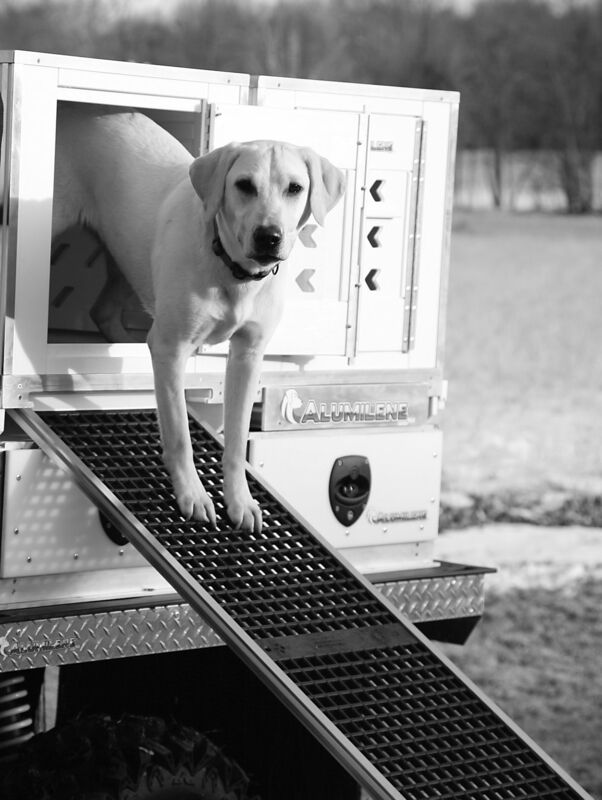 With add-ons such as the Alumilene HDX ramp, dog kennel fan and lights, this option is for serious hunters who want to offer their dogs the best. Add 4.5 lbs to standard weight. 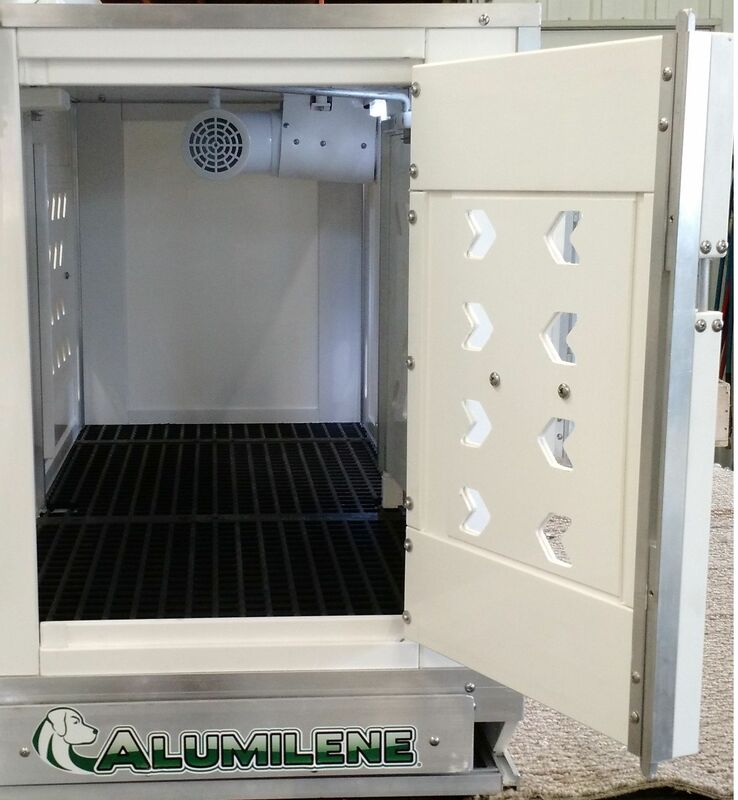 Add 3″ to standard height. Add 20 lbs to standard weight.